Time is a prison. She is the key. Packed with danger, temptation and desire - a perfect read for fans of The Red Queen. In the land of Sempera, the rich control everything - even time. Ever since the age of alchemy and sorcery, hours, days and years have been extracted from blood and bound to iron coins. The rich live for centuries; the poor bleed themselves dry. Jules and her father are behind on their rent and low on hours. 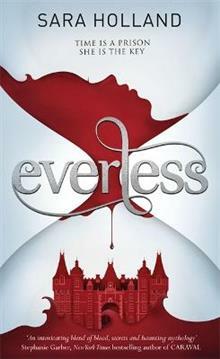 To stop him from draining himself to clear their debts, Jules takes a job at Everless, the grand estate of the cruel Gerling family. There, Jules will encounter danger and temptation when she falls for the Gerling heir, who is soon to be married. But the web of secrets at Everless stretches beyond her desire - and the truths Jules must uncover will change her life for ever ...and possibly the future of time itself.